Thebrand new merchant ship of the HoY Companies arrived at the docks of Olni. 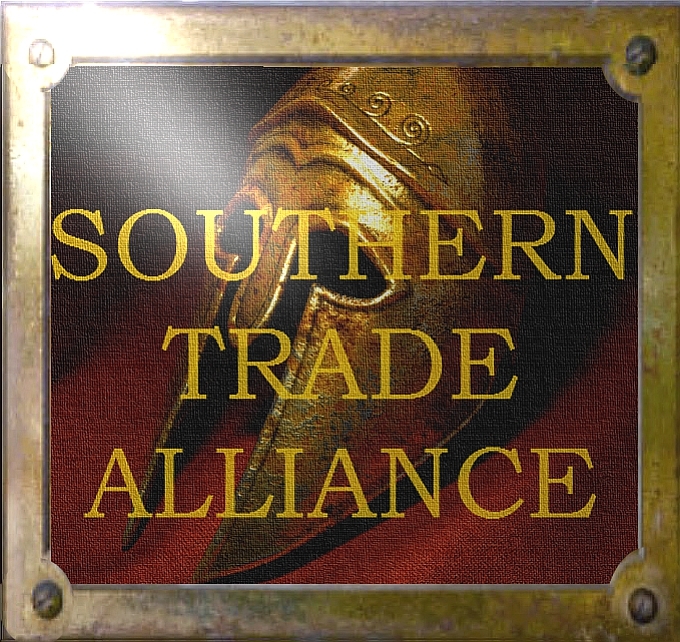 There was only one Southern Trade Alliance in the past. 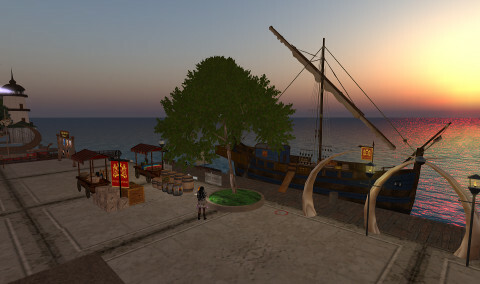 This alliance had been created by the Port of Meqara at the Vosk river. Fina and Turia dominated this alliance because Meqara is only a small port. The City of Landa had been invited to join the STA in the year 10161 contasta Ar. [16:54:25] Rayah Wrexan (rayah.marenwolf): What would be the demands to end this war before it starts? [16:55:03] Darius Vayandar [Ubar of Turia]: What will end this war, is Yuroki being arrested and brought to Turian courts to stand trial for his actions. Second Day of the Eighth Passage Hand in the year of the Priest Kings. We, the City of Turia, hereby issue a Declaration of WAR against the Port City of Landa. This is in direct reference in regards to attacks on one of Turia’s allies, the City of Rarn, thus directly disrupting the trade route between that of Turia and its ally. This is a full Declaration of War from the City of Turia to the City of Landa. Turia was always hostile to me and Landa without a reason. They attacked us without a reason. We did not react to avoid a war. But now it is enough. We will make Turia a suburb of Landa and call it Troy. Turia attacked the strong walls of Landa several times but they failed. Landa hired mercs from the Voltai mountains and got some warriors and even the Ubar of Turia in chains. Turia did not expect to lose the War but they did. Then Port Meqara which was allie of Landa betrayed us and started to fight against us as well. There comes a time when one feels one must speak up, and this time has come for me. Let me tell you what has made me so upset. So upset that I took the time to pull a scroll and started to write my reasons why I feel this way. The STA. Yes I am angry about the STA.. The STA was an idea by an egotistical and egocentric maniac who has turned out to be a dictator and terrorist all in one. It was believed that the STA. Which called itself the Southern Trade Alliance, would be here to protect the trade ways between the cities, since the north was threatening the south.. It was not in any way to tell us how to live who to be allied with and what our rules or laws can be. How that group has turned into such a dictorship, I don’t know. Where they get off shouting orders to other cities who they can be allied with and who not, I don’t know.. And I have had enough of it. The trouble started when we asked the STA to help us with obtaining copper from a Rarn and nothing was done.. Rarn would not respond to our wishes to trade.. it seems they were deaf to any requests to Landa. So Landa reacted and instead of the STA helping , considering it is a trade alliance, it expelled Landa from that group by night, with only 3 or 4 cities awake. They pushed it through before anyone else could intervene. Anyone else who would dare stand in the way of them would be crushed or kicked out as well. Landa was humiliated, accused, urinated on and so forth.. but that’s not all.. so let me tell you what happened, if you have not heard it already. The City of Atria came to Landa and we welcomed them with open arms. We formed an alliance and all was well. Until one day the STA decided that this was not going to happen and they laid fires in Atria with a warning that if they do not dissolve the Alliance, that they would be burned to the ground. Unfortunately the leaders of Atria caved and the Alliance was severed.. That’s too bad because, even though I am a FW, that really upset me and I would have not stood for the terrorist demands. On the contrary, I would have amassed as many of my friends and protected the city ..stood up for what is right and demand an apology for daring to tell us who we can or can not be allied with. Well, too bad. It was heartbreaking to see our friends turn on us. Landa Is a proud and strong City.. We are honorable and loyal people and we will defend ourselves as we see fit and no one.. and I mean absolutely no one can tell us otherwise. We will never be ordered around by the egomaniac or by the wimps of the STA. WE will, if we have to, stand on our own and do as we have have always done. Live honorable and do what is right, protect our people and our friends. We will not pay homage to the STA ! Landa could not be defeated. Fina was member of the Southern Trade alliance and voted Landa out, and Tafa and Meqara did this as well. Landa made several proposals to try and end the war, but they declined everything. [14:56] Yuroki Uriza shouts: Landa was here Fina! This is the last warning! LEAVE THE SOUTHERN TRADE ALLIANCE! Landa attacked Fina several times between the 12th month of the year 10161 and the month of En’kara of the year 10162 and defeated them, but did not take captives. The High Council of Landa declares that a state of war exists between the Cites Of The STA and the Government and the people of Landa Continent are making provisions to prosecute the same. Whereas the Cities Of The STA has committed unprovoked acts of war against the Government and the people of Landa Continent. Therefore be it Resolved by the High Council of Landa assembled. That the state of war between Landa Continent and the Cities Of The STA which has thus been thrust upon Landa Continent is hereby formally declared. The newly appointed Ubar is hereby authorized to employ the entire naval and military forces of Landa Continent and the resources of Landa Continent to carry on war against the Cities Of The STA. To bring the conflict to a successful termination. All of the resources of Landa Continent are hereby pledged by the High Council. As I was sorting through the scrolls which threatened to crash my desk, I heard the alarm ring. I stopped and walked to the balcony to see what was happening.. Dark clouds hovered over the dock and upon closer inspections I saw as warriors arrived from not only one but several cities.. I remember seeing Meqara, Thentis, Fina, and Sulport. I squinted my eyes and I believe I saw midas as well, but I could be mistaken. It did not look at all like a friendly visit, and I feared our Warriors would be badly outnumbered. I saw grapples being thrown over the walls and the enemies tried to breech the wall. For an ahn Landa’s Warriors were able to keep the enemy out of the city, but eventually the wall was breeched and they got inside. Some of Landa’s fierce fighters left the wall and engaged in hand to hand combat. I watched in horror as the fighting continued. I knew our men are strong and fierce fighters, but I worried that they might not be able to withstand so many and hold them at bay. The battled continued for two ahns, but contrary to my fears, Landa stood strong. 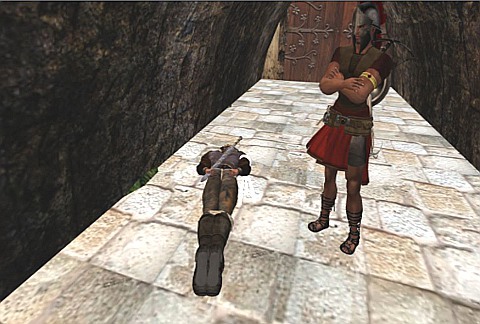 Many attackers lay bound in the streets of Landa. I stood and watched as it drew to an end. In a show of good faith Landa released it’s prisoners and allowed them to return to their city. Everyone was proud of the way the men defended Landa. After the fighting was over the Free Women ran into the street yelling with joy, as they celebrated the men’s successful defense of Landa. Pictures: Heavy fighting at the gate house (above). The Ubar of Landa (right) talking to the admin of Fina. VALOR – THAT CAN LIFT MEN FROM CERTAIN DEFEAT TO INCREDIBLE VICTORY. On the month of Camerius of the year 10162 contasta Ar [June 2012] a fairly large number of cities, oasis and villages came together in Landa and established a new trade alliance of Southern Gor. We proclaim to work together towards trade support. To unify the south against invaders seen from any entity especially from the North and the Vosk region (as the false Southern Trade Alliance from Meqara is just a front organization of the Vosk League) that disrupts our mutual trade investments within our Ports, Cities and Oasis, for peace and prosperity and the protection of our trade routes. 1. The cities will work together towards beneficial trade between member states. 2. An option for military support against cities not within the Southern Trade Alliance of Gor ( Each attack will be decided by member states ). 3. No member city will belong to the Vosk League or Southern Trade Alliance . 4. The Alliance will endeavor to keep the peace and allow trade to flourish. 5. All member states will act at all times within the codes of the castes of each city. 6. Any dispute between cities will be settled in the court of the city which the dispute arose . 7. Any dispute involving a group of cities will be settled in a neutral city with three Legal Scribes making the final decision if the cities cannot agree. 8. Each state will be responsible for their own coin and accept the coin of other cities. Each state will set their own exchange rate. The false Southern Trade Alliance of Port Meqara and Fina was only a front company to intrude the south of Gor and to support Turia which was a marionette of Fina all the time. The founder of the Vosk League STA is dead [left Gor]. A scout reported that even Fina left the Southern Trade Alliance. There is nothing left except a lonely sign at the walls of Port Meqara, Tafa and Sulport and Port Cos.